When the temperature dips, it's hard to get motivated to leave the house and head to the gym. 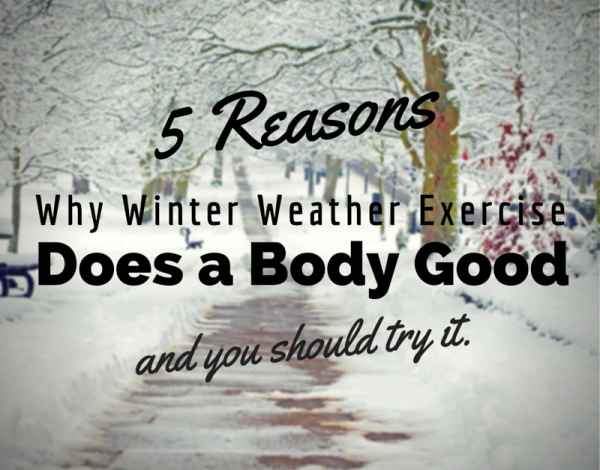 But did you know that the current 'brr' factor outside can give your workout a major boost? Before resigning yourself to winter workouts in a stuffy gym, check out the benefits of exercising outside in these cooler temps (courtesy of Everyday Health). Shedding more calories: The body has to work harder to regulate its core temperature in colder weather, so right away you are getting an extra calorie burn in addition to your actual exercise. Strengthening your heart: Your heart has to keep up with your body working harder to stay warm by pumping more blood and this gives your heart its own significant workout. Getting your heart rate up is important developing cardiovascular endurance. Building up tolerance to different elements: The cold weather can be biting, but it is a good practice for your body to be exposed to different temperatures. In Central Texas, we are so accustomed to the heat, so when the weather is cooler, change things up a bit and head outside so your body can work on adapting to other climates. Getting your daily D: Winter sun delivers the same healthy benefits of vitamin D as summer sun. So enjoy the rays outside, but don't forget your sunscreen. Feeling happier and more energized: Exercising in crisp, cool weather had actually been proven to put you in a better mood. With your body working harder to stay warm, the amount of endorphins produced also increases, leaving you with a sense of happiness and lightness rately associated warmer, humid weather. As you head outside to savor this winter weather, remember to always dress warmly and stretch before and after your activities. Did you ever wonder why your old coach or personal trainer reminded you over and over again to stretch before, during and after a big game or workout? Turns out there is a real science behind stretching, and it is an extremely beneficial activity to make part of your daily routine. The American College of Sports Medicine recommends stretching each of the major muscle groups at least two times a week for at least 60 seconds at a time. Stretching fosters better flexibility, helping you move more fluidly and inflicting less wear and tear on your body as you age. There are two different types of stretches: static and dynamic. A static stretch if flexing your muscle and holding it in place for 15 to 30 seconds. A dynamic stretch moves a muscle group fluidly through an entire range of motion. When practicing either, you should feel a stretch or slight strain, but you should never feel pain. 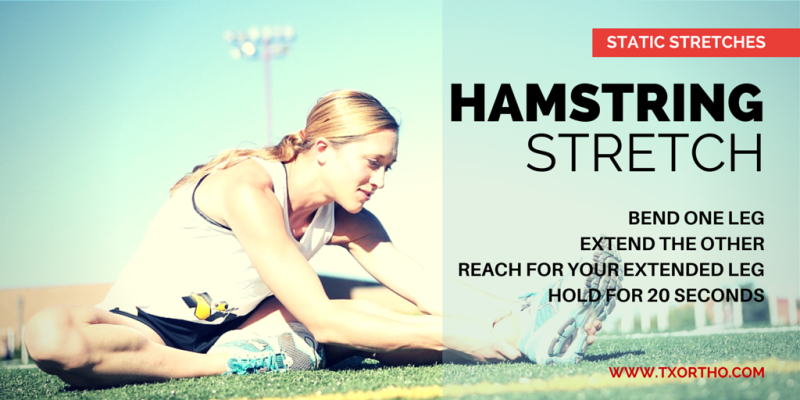 Stretching is something that can easily be done throughout the day no matter where you are, but here are a few key times when it is most helpful. 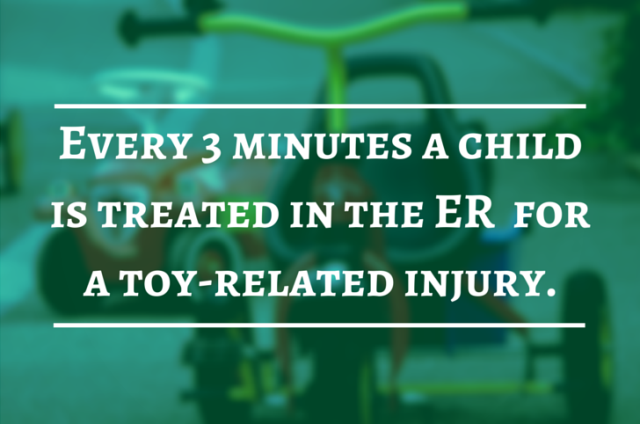 Did you know that every three minutes a child in this country is treated in the ER (emergency room) for a toy-related injury? With all the new toys your little ones received over the holidays, now is a great time for a reminder about proper toy safety. New data published in Clinical Pediatrics, from researchers at Nationwide Children's Hospital in Columbus, OH, claims toy-related injuries among children and teens increased by 40% between 1990 and 2011. Foot-powered scooters and riding toys, including tricycles and wagons, are responsible for the most injuries, usually dislocated or broken bones. Choking on small toys is the next most common injury among young children. Also watch out for broken or worn-out items that may need to be tossed, and disinfect toys frequently to get rid of any germs that may be camped out on surfaces and hidden in crevices. 3M Half Marathon and the Austin Marathon are right around the corner. And thousands of Central Texans have been training for the big days, but experts say what you eat before a marathon (or half-marathon) is just as important as your physical training. 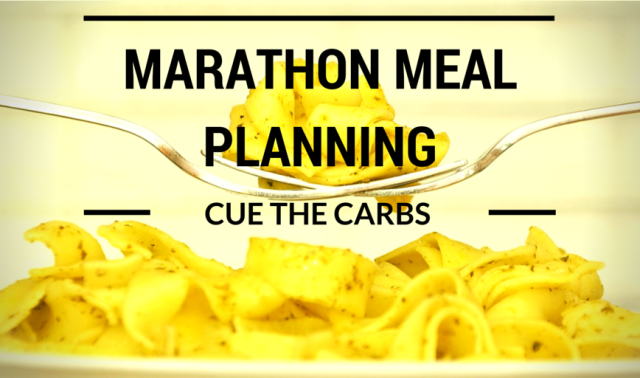 Sure you need to have stamina to endure 26.2 miles, but food is the fuel your body needs to make that happen. You can plan menus to get the most benefit out of your daily meals. Do you dream of black diamonds? Do lift tickets lift your spirits? If you're part of the masses that flock to the mountains each ski season, read on for ways to stay safe on the slopes this winter. The most common ski injuries involve the anterior cruciate ligament (ACL). The ACL is located in your knee and helps join the upper and lower leg bones. ACL injuries range from mild severe depending on partial or complete tears of the ligament. Symptoms of a tear include sharp pain, swelling, and weakness of the knee. Rest and physical rehabilitation may aid in healing, but sometimes reconstruction surgery is necessary. If you suspect an ACL tear while skiing, or a broken bone, get it checked out as soon possible. You contact one of our orthopedic specialists by making an appointment online or calling us at 512-439-1001. 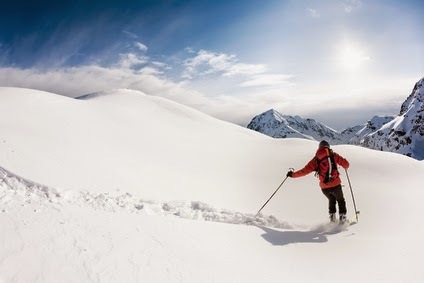 Click here for more ski safety from the American Academy of Orthopaedic Surgeons website. Low back pain is a common ailment. In fact, it is the most common cause of job-related disability resulting in missed workdays and limiting or reducing one's activities. Yet, not all back pain is alike. In the following article, we discuss one type of low back pain called lumbar spinal stenosis. Lumbar spinal stenosis, a common cause of low back pain, occurs when the spinal canal narrows. In more severe cases, the narrowing causes compression of the spinal cord or spinal nerves, which can cause painful symptoms like low pain or even pain in the legs or buttocks. It is most often caused by arthritis - normal wear and tear as our bodies age. When the cartilage that covers and protects the joints wears away due to arthritis it can result in bone rubbing on bone. To make up for the most cartilage, the body may grow new bone in your facet joints to support the vertebrae. The spurs narrow the space for the nerves to pass resulting in terrible pain. Often times, initial treatment will be non-surgical. Physical therapy may be helpful and may be recommended along with anti-inflammatory medication, pain medication or steroid injections. If these treatments are not successful, and you're still suffering from pain or weakness, surgery may be recommended. The two most common options include a laminectomy or spinal fusion. Be sure to discuss the advantages and disadvantages with your doctor. Click here to see a video from the American Academy of Orthopaedic Surgeons about spinal stenonsis. Are you suffering from low back pain? Discuss your options with one of our spine specialists. It's a new year which means many of us are kicking of new resolutions. One of the most common is the promise to get fit. What can you do to make sure your fitness goal isn't forgotten by February? Find something you like to do. Some prefer exercising in groups. 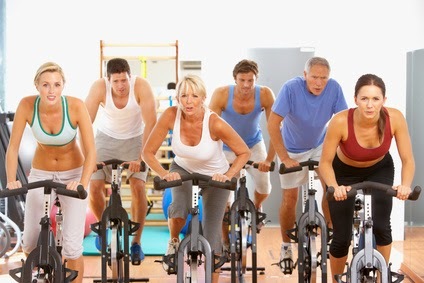 Whether it's a boot camp, Zumba or cycling class, having others participate may be the boost you need. Others use exercise to clear their head, and prefer to do it alone. Whether you prefer outdoor activities, indoor classes, yoga or martial arts - if you hope to stick to your resolution, discover what type of exercise motivates you. Set goals. What are you working toward? Do you hope to improve your running time? Lose 5 pounds? Improve your flexibility? Fitness resolutions are most often achieved when specific and realistic goals are set. Ease into it. Regardless of the exercise, pace yourself... especially beginners. Your body is getting used to your new exercise regimen. Don't get off track by getting sidelined with an injury. Remember making the resolution is the easy part. The hard part is keeping it.